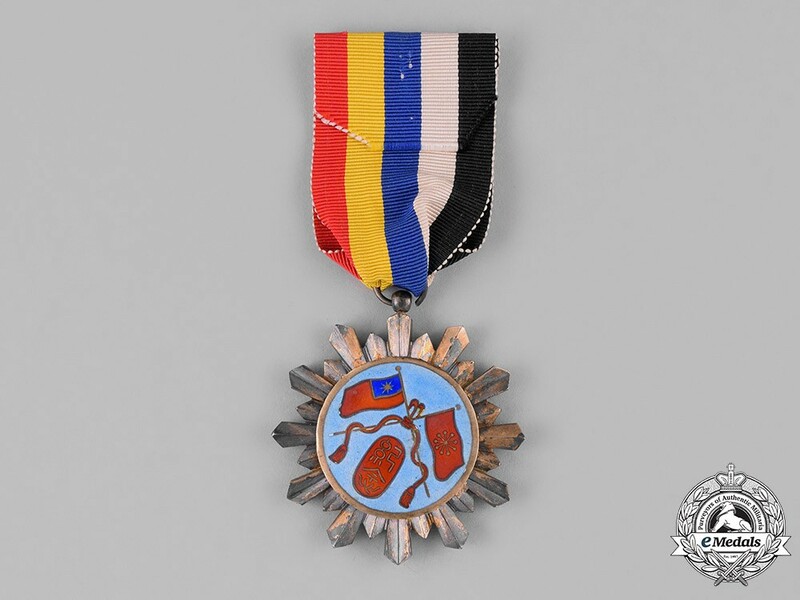 ( 曹锟 ) Commander in Cheif of Zhi Lu Yu Province. 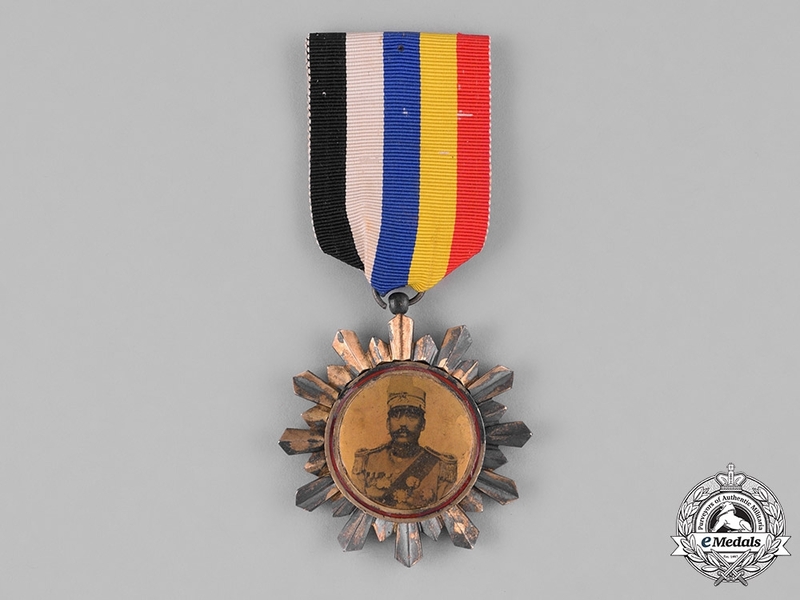 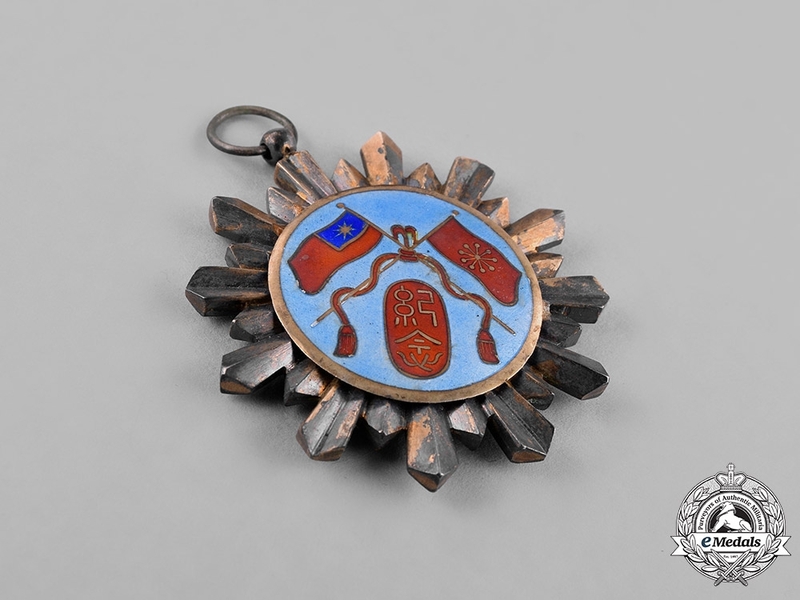 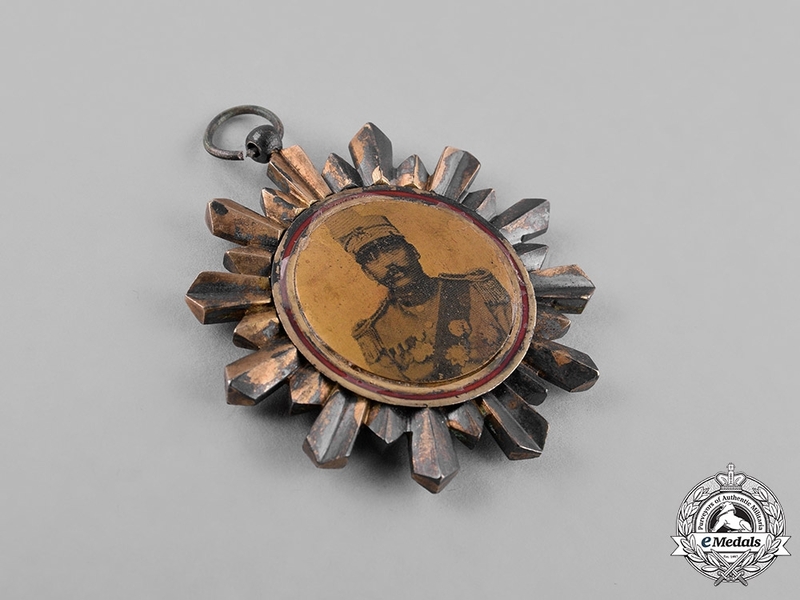 In hollow silver gilt, consisting a multi armed star, obverse centre with image of Cao Kun in military dress with red enamel boardering, reverse centre applique in fine light blue enamels with crossed flags of the Republic of China (1912 -1928) and the Chinese Republic Army Standard, measuring 51 mm (w) x 55 mm (h - inclusive of integral suspension), with reverse centre slightly turned counter clockwise and enamel loss, good/fine. 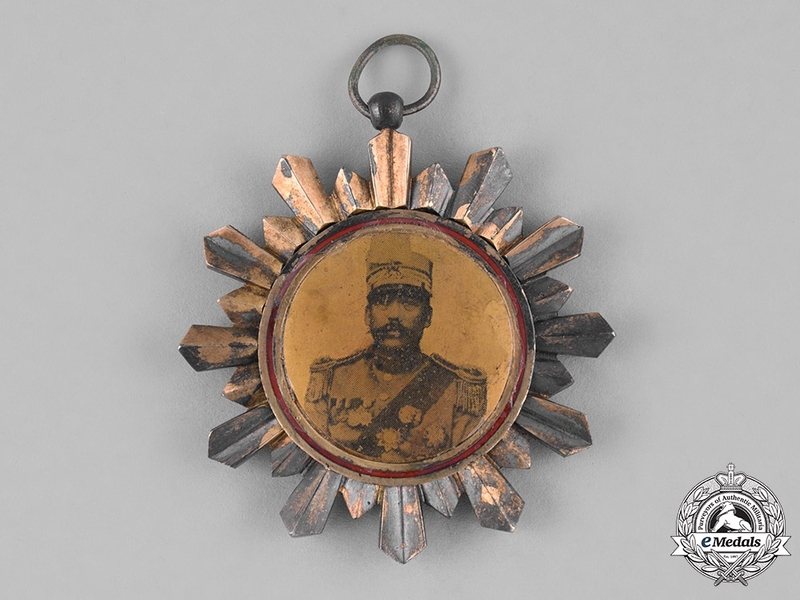 Footnote: Cao Kun was a Chinese warlord and politician, who served the President of the Republic of China from 1923 to 1924, as well as the military leader of the Zhili clique in the Beiyang Army. 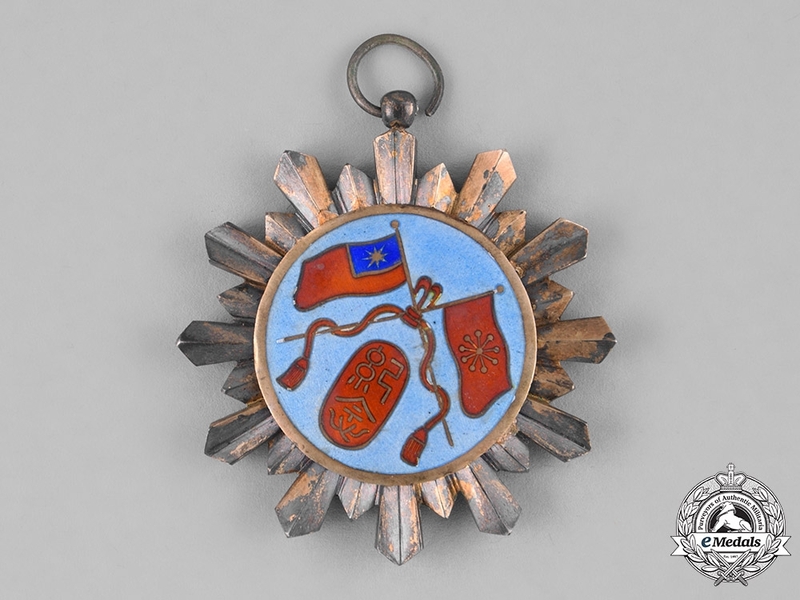 He also served as a trustee of the Catholic University of Peking.